Australasian cities are punching above their weight to attract the highest proportion of real estate investment in Asia Pacific, according to JLL’s Investment Intensity Index. 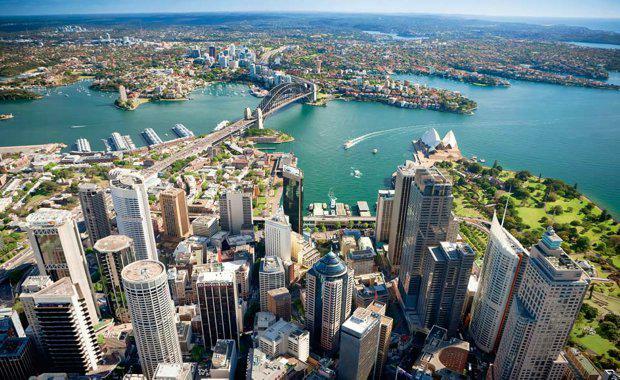 The report, which compares the volume of direct real estate investment over a three-year period to the economic size of a city, reveals that four out of the top five cities in the rankings are in Australasia. Sydney and Auckland take the top two spots, followed by Melbourne and Brisbane with Tokyo rounding out the top five. “Australia and New Zealand are well represented in our Investment Intensity Index, as they are the most transparent real estate markets in Asia Pacific, due to attributes such as good market data availability, fair transaction processes, high standards of regulatory, accounting and corporate governance,” says Dr. Megan Walters, Head of Research, Capital Markets, Asia Pacific. “In addition, prime office yields in Adelaide, Perth, Auckland and Brisbane ranged between 7 and 8 percent, the highest among the top ten, making these highly attractive to investors,” says Myles Huang, Research Director, Asia Pacific Capital Markets. Tokyo attracts the highest volume of annual direct real estate investment in the region at US$21.9 billion. However, as a proportion of city Gross Domestic Product (GDP) this represents 8 percent as opposed to 13 percent for Sydney. The report shows that cross border investment has played a key role in pushing Australasian cities to the top of the table. On average, commercial real estate assets worth 10 percent of city GDP change hands every three years, according to the report. Aside from Tokyo, the other Asian cities in the top 10 are Hong Kong, Taipei and Singapore. View the JLL Investment Intensity Index Report here.